boAT Rockerz on ear 510 Wireless Bluetooth headphones is one of the best Wireless Bluetooth Headphones under Rs. 3000. It is marked as among efficient and elegant design with the best cost possible in provided features and specification. The plastic made-up body of the headphone looks glossy and bit of stylized but still doesn’t alienate itself from decency. The budget is something really tempting about the boAT Rockerz 510 as such set of features are hard to find in this budget as far as other brands are concerned. BoAt Rockerz 510 is available in two magnificent colours that are raging red and furious blue and like their attribute suggests, the colours are contrasting with another composition of zed black texture in it. The colour does not lose its lustre within the time, however, the bit of glossy look may fade away but that doesn’t steal away its appearance at all. 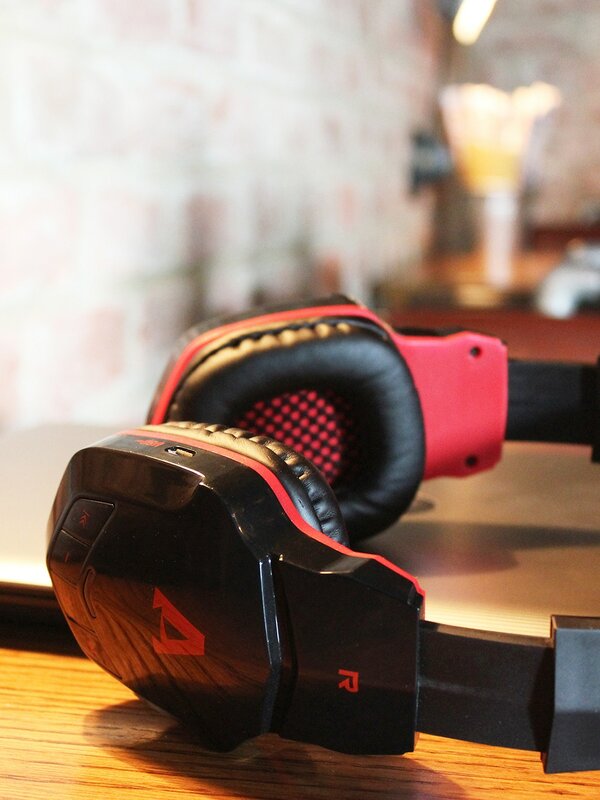 The headphones give a comfortable room for ears to not just fit in but blend in the space so it feels you compact on the head. The headphone band doesn’t slip away from the upper head and neither it makes you feel space under your earcups nor very congested. Size adjustment does make sure you get the swift fitting with the help of stretching headband and adjustable length of earcup arms. It has a wide frequency range as of 20 Hz to 20 KHz which surely gives a wide range of sound wavelength where surround music and Dolby system work extensively in your very head. There is 50mm dynamic drivers pack installed to make it effective and authentic bass for a great stereo experience. As per the design and comfort, the listening experience turned out most personal but ‘home-theatre at ears’ style. You can feel the signature of boAT which a superbass technology for a thumping bass. However, comparison to other headphones, it could do better with the movie experience and can compete with brands like Bose and JBL but it is also important to compare the price which is less here. Design of the headphones is truly a very plus point feature here. It quite works as the style statement where actually one can forget those huge ugly looking black headphones with large earcups and flat band. This is more cool and vibrant to add a stylized value in urbanised look. It is attractive and eye-catching for people which is a really the best about the design because you might love to people gazing at you on the bus or on the walk while you listening to the song. Tap on controls is among the very cool and intuitive feature of BoAt Rockerz 510. A very common problem has been seen with such tap on controls on Bluetooth headphones that it doesn’t work well while listening. By that, we mean, one cannot reach on buttons well efficiently or accessible when you need or it takes time to get habitual. 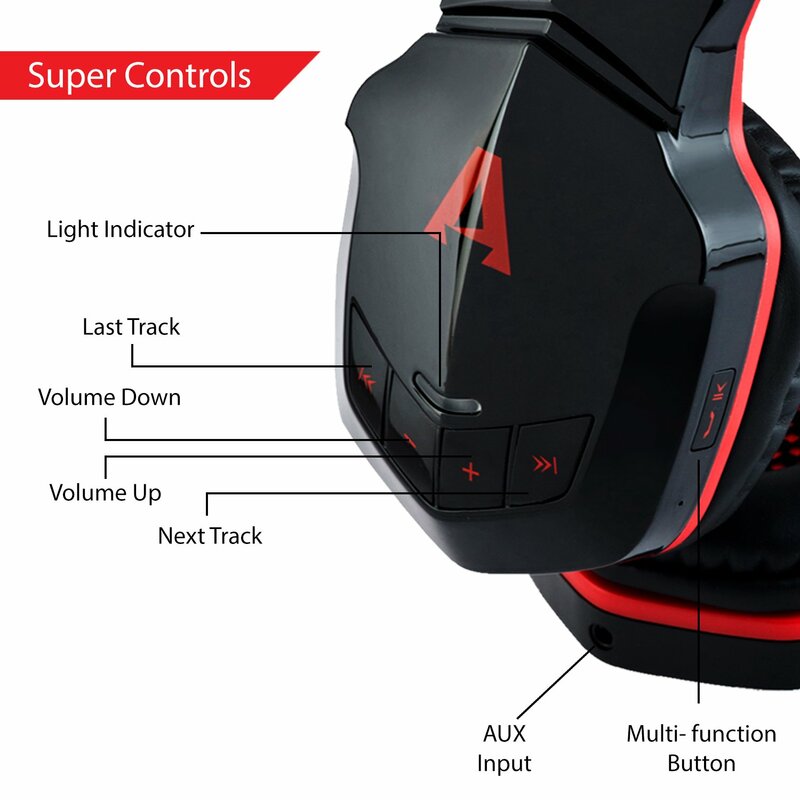 But here, the super controls are on the earcup front side where your hands easily get access to. The shape and placement of the buttons give you a fair idea of touch for what it stands for. You can play and pause, increase and decrease the volume and play the next or previous song as well in a very instinctive manner. Interestingly, there is also accept and reject call button, so it is great to take calls on the headphone. So no need to hassle and cut off the Bluetooth connection to talk on it. Well, these features clearly suggest you definitely get what you were offered while buying it. So that is the bit of honest what we liked about it. The price is acceptable for what the features and durability it has. Bluetooth functionality, attractive and glossy two-option colours design, easy tap on control, battery durability of nearly 7-8 hours, 50 mm drivers, super bass technology are few of the very features that make it a must buy in this particular price range. With the price range of 2000 INR plus or minus, this is one of those very few best options you have for Bluetooth headphones, however, the sound quality could be more theatrical and dedicated to surrounding music. Comparison to BoAt Rockerz 600, the built quality is not so good. BoAt headphone still do not hold capability of giving crystal clear and crisp sound when we increase the volume. Only 40% volume holds the frequency on the quality it actually offers, later it get noisy and loud. But on the bright side, you should not expect that from any brand with such price range. So when it comes to get the best from the least, BoAT Rockerz 510 hits the score. The durability is also something great to offer with low maintenance. BoAT Rockerz 600 comes with the similar price ( few bucks up and down) but with a better tap on controls system and built quality along with a more elegant design. The ear cushions are better than this one. But its upon you whether to decide, you want an elegant design or bit of vibrant like this and then you have to pay a bit more than that, however, the price fluctuates on e-commerce websites, so it does unify them in similar price range after all. But we still want to mention here, BoAT Rockerz 510 is far better than BoAt Rockerz 400 even if the price is more.